The Canadian Air Traffic Control Association (CATCA) is first and foremost a trade union representing all Air Traffic Controllers in Canada. We are a local of Unifor. Our most important role is collective bargaining with Transport Canada, Serco, and NAV Canada. Our mission is to promote the status, working conditions, compensation and security of the membership and to promote aviation safety. We work closely with our members to understand their needs and are guided by their voice. Together we have achieved so much and will continue to strive for excellence in the workplace. CATCA’s structure includes a large number of volunteers, seven elected officials, and three staff members. Our volunteers are the main body of the Association, and we rely on them as a first point of contact for our members. 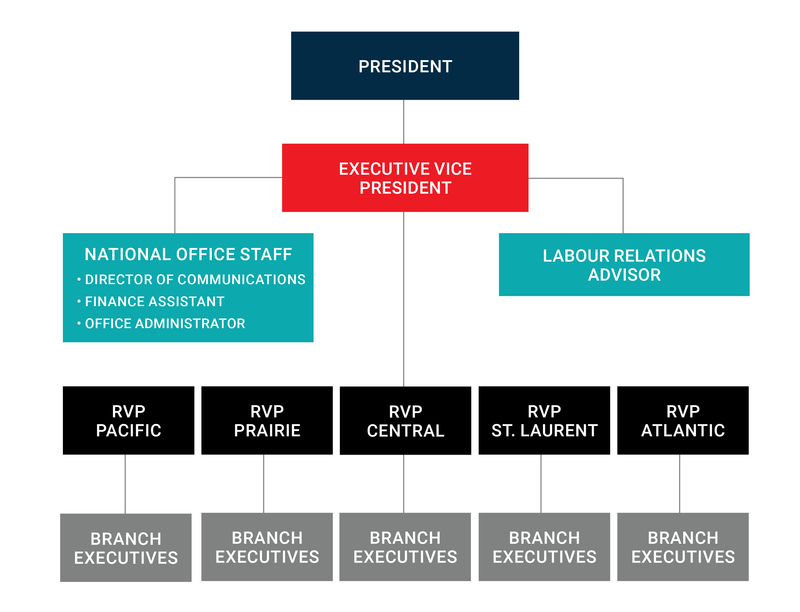 The Executive Board, composed of the President, the Executive Vice President, and the five Regional Vice Presidents, head the Association and they oversee operations. Each of the Executive Board members does take on specific projects and initiatives, but ultimately they lead the organization together. The President and Executive Vice President work at the national level while the Regional Vice Presidents represent the interests of their regions at the national level. At the local level, we have a foundation of volunteers who work tirelessly to provide frontline services to our members. Our national office staff works with our members and elected officers to provide administrative and logistical support.